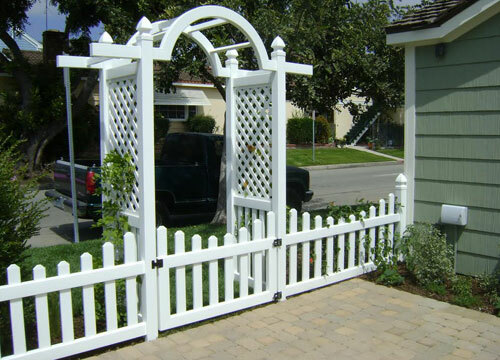 Country Estate Fence installed this vinyl arbor in Huntington Beach, CA. The Vesper Rose style arbor was chosen by our client because of how nicely it frames their home's entry way. Country Estate Fence installed this vinyl arbor in Newport Beach, CA. The Oxford arbor frames this home's entry gate beautifully. This client wanted a freestanding arbor so that they could eventually grow plants on it and create a nice view from their window. 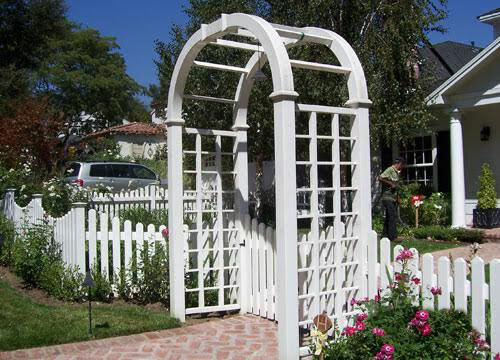 We installed this custom vinyl arbor at their home in Temecula, CA. 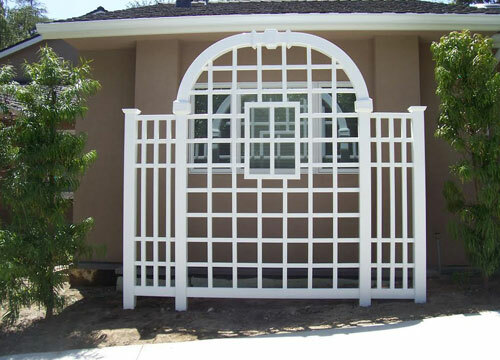 This vinyl arbor installation in Villa Park, CA was completed by Country Estate Fence. 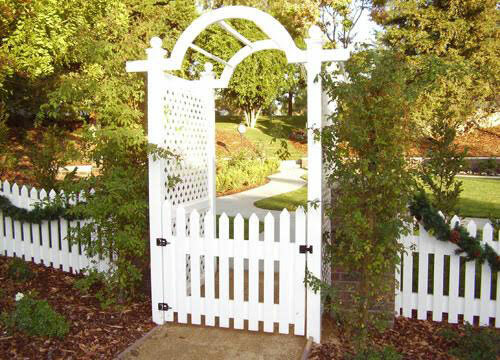 This client wanted an arbor to complement the picket fence we had previously installed. They chose this Oxford style arbor so the trees could eventually frame its shape.